Synopsis: A short talk on sanctity of life Sunday, after a moleben. 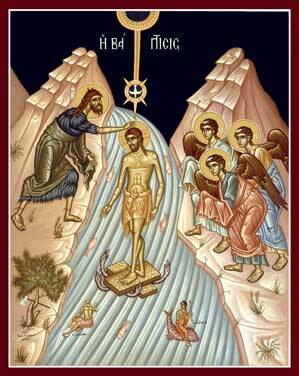 Detailed explanation of the troparion and kontakion for the day before and day of Theophany. 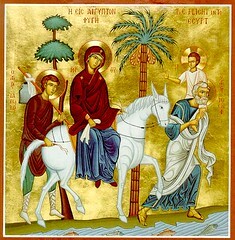 Synopsis: Detailed explanation of the troparion and kontakion for the day before and day of Theophany. There is a lot here! and hast enlightened the world, glory be to Thee. Synopsis: A homily describing on the Eve of the Sunday after Nativity during matins, describing the Holy Prophet and King David, Joseph the Betrothed, James The Just, the Brother of the Lord. Why are these saints commemorated near to Nativity? What do they teach us about the Nativity? The Nativity Fast. Typikon, Why Fast, Pastoral advice. Talk and Outline. Synopsis: A short talk on the Nativity Fast, on the day the fast began. 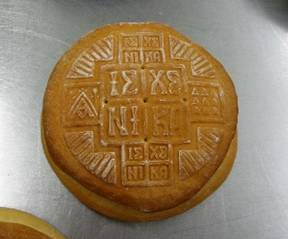 The Nativity Fast and Great Lent Compared, Nativity Fasting Typikon, Fasting until the Ninth Hour, Why Fast? How does the fast apply to you? (Office parties,Family,The Belly,Prayer,Almsgiving,If you do not fast well). The outline was used in the talk. Fall 2010 Stewardship Campaign Part 1. Stewardship And Loving Our Neighbor. Short Audio Talk. Exaltation of the Cross. Three questions about the Cross. Catechetical talk. Synopsis Three Questions About The Cross regarding the sign of the cross,prostrations on Sunday and ,venerating the cross or any icon in church. The text follows the talk very closely. These talks are designed to get a little information into the faithful right after the liturgy before it becomes too chaotic to teach. You are currently browsing the archives for the Audio catechism category.